The series begins on Sunday June 26 with the increasingly celebrated young baritone Benjamin Appl, who is rapidly climbing the ladder to stardom. Accompanied by Simon Lepper on piano, he will perform several songs by Ian Venables, the Worcester composer whose songwriting earns appreciative reviews and whose work will be featured in each of these concerts. Then on July 17, Tardebigge welcomes the mezzo Susan Bickley, who is more often seen in opera performances – this is a great opportunity to enjoy her in more intimate mode. Singing Venables’ Acton Burnell for voice, viola (played by Louise Williams) and piano (Iain Burnside) offers a chance to hear songs by Bridge for the same forces. Finzi songs and other favourites complete the programme. 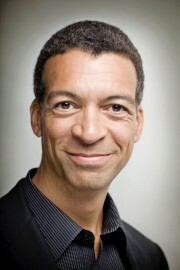 Finally, on August 28, everyone’s favourite baritone, Roderick Williams (pictured), will sing a lovely programme of favourite songs, accompanied by pianist Susie Allan. The afternoon will be completed by a tribute to Shakespeare in Finzi’s Let us Garlands Bring. Each concert will be preceded by a free talk at 2pm; two given by Ian Venables and the central one by scientist Alan Watson who will explain The Science of the Singing Voice. Celebrating English Song has been bringing English song to middle England since 2004, stimulated by the realisation that although song recitals do happen, there are very, very few that feature songs in English – most such recitals are of the well-known works by Schumann and Schubert. The series attracts people from many areas of the country who thoroughly enjoy the whole event, held in a lovely church with good acoustics, in an attractive area on a hill with views over the Severn Valley to the Malvern Hills and beyond. Not to mention the tradition of interval tea with home-made cakes!